We had visitors scheduled for Tuesday at lunchtime. 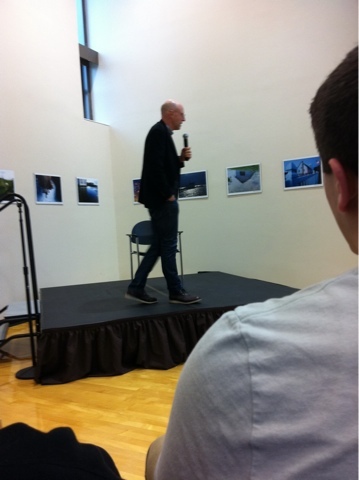 Then word came that Michael Pollan was giving a private talk, before his evening appearance in front of 2,000 people. 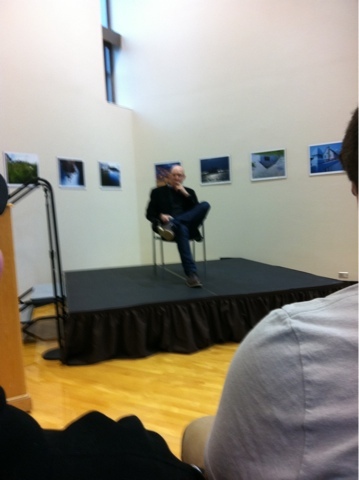 The visit/lunch plans shifted a week, and a few minutes of question and answer with the author occurred instead. The audience was small, and the forum was very conversational. People asked his thoughts on a variety of topics..and he concluded with an interesting idea. In the food world we are looking for solutions. We want to eat better, cleaner, home made and safer food. We are constantly hearing terms like food security, food deserts, obesity, diabetes, GMO's, antibiotic usage..and many more. We wonder about our own health, and get checkups to make certain all is well. And we hear of people around us being diagnosed with a variety of ills, serious and more than a bit scary. We read, watch documentaries, attend lectures and generally work to know more. Yesterday, Pollan spoke of a few things we already knew, and have spent some time head scratching. One is the question of health as it relates to food..he quoted a figure, more than 75%, that doctors now treat patients for food related health issues..health problems that diet and exercise alone can..cure. Not just treat, but cure. The other thing that really struck us: the idea that as with tobacco, the insurance industry might be the ones to really help change food, what is in the farm bill..which currently funds growth of corn, soy, wheat..the big GMO's, goes into lots of stuff in various processed forms that causes all sorts of health issues..the food bill also subsidizes all of the federal food plans..SNAP, free lunch, breakfast and dinner at K-12 schools..and some funding of conservation plans. There are many lobbyists paid by big food in DC. The food you eat growers, like us, have little representation in DC. The food that gets processed and flavored and extruded and packaged in shiny stuff has lots of paid people visiting our congress on a regular basis. Pollan's suggestion that the medical insurance industry will soon take on the issue of food and health, and the idea that rates would be calculated as they are now for smokers..who pay a higher rate for insurance than non-smokers..is epic. At least to these 2 farmers from south-central PA.
And then, back to work on how to get cattle to the butcher today. We need our own livestock trailer..we have hired, borrowed, cobbled together methods of transport long enough. And our scheduled visitors? Who we attended the talk with? 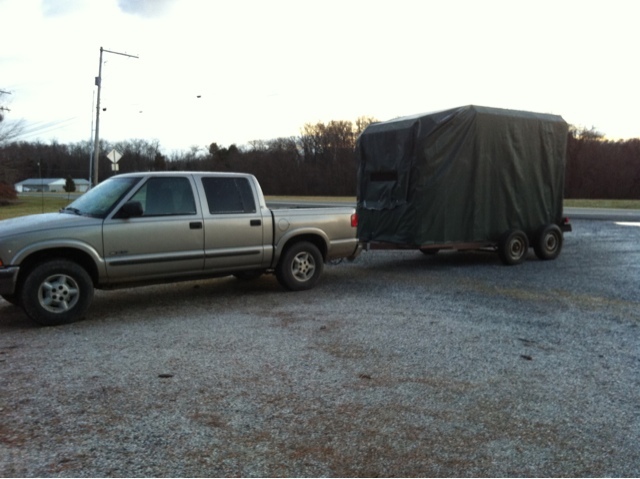 Had an extra livestock trailer on their farm, and it is now on our farm. Last night Homer separated the cattle scheduled to be transported and today we are hoping for an easy time loading..favorite foods await inside the trailer. And the herd (not Sybil, the milk cow, but the rest of them) stampeded Homer last night. In the dark. They decided to see if they could trample him. He used the one thing he had on him to stop them..he turned on the iPhone so it lit up the dark, stopped the herd and turned them away. Thank goodness for technology. Never know when it will be useful.